One thing I've learned about using our local library as a resource for children's picture books is that every other mother in town decided to do the same thing - particularly when it comes to books which revolve around upcoming holidays. I've given up on trying to secure titles at the library, and instead have begun making sure our home library is equipped for all major celebrations. Of course, the up and coming one being Valentine's Day, and having absolutely nothing on hand, I e-mailed a few of you to see if you had some good suggestions and YOU DIDN'T!!! (GASP!!) So, if anyone has a good suggestion, feel free to leave it below in the comment section. I'm listening. Over at Reading My Library I wrote about one altogether interesting (i.e., shockingly amusing/bad) book about Valentine's Day that I found at the library and if you are feeling so very curious, GO HERE. I think we'll be a bit more choose-y! No doubt cupcakes will be thrown in for celebratory purposes as well, of course! "One day, the king of Rome made a law. He said, "All young men will be in my army. They cannot ever get married." The young men and women were very sad. Valentine tried to help the young men and women. The king became very angry and threw Valentine in jail." Children who knew Valentine were very upset by his imprisonment and sent him letters. When he would respond to the cards he would sign them, "Your Valentine." Or so the story goes and now we have a special day that singles all over the world love to hate and anyone who is down on love gets grumpy about. Hurray! 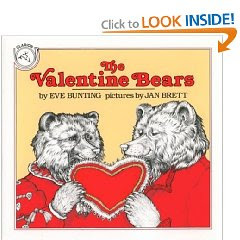 Through a bit more Amazon browsing, I also discovered The Valentine Bears which I was sold on immediately, once I noticed it was illustrated by Jan Brett. It is the story of Mr. and Mrs. Bear who go to sleep in October to hibernate for the winter. However, Mrs. Bear sets her alarm clock to wake her up in time to celebrate V-Day with Mr. Bear - which is something that they've never done in the history of their marriage (because they are always asleep, of course)! This book is pretty cutesy. It's not typical Jan Brett in that there are no illustrations within illustrations framing each page. The drawings are all in black and white with red being the highlighted color. It's a charming little tale which I think highlights the marriage relationship better than it does the color red and I like it. I can't say Bookworm1 was all that enthralled with it, nor can I say that I'd like a Valentine's gift of crispy crawlies to eat. But to each their own in the food department and I'M not disappointed with the story! Lastly, I reckoned I would check out one of the more popular Christian oriented children's book publishers, Zonderkidz, to see if they had any offerings for this occasion. 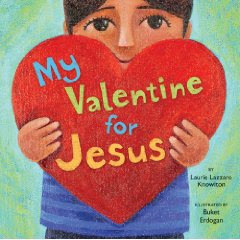 I found My Valentine for Jesus which just came out this year and is earmarked for ages 3-5 which is perfect for where we are at. So, I stuck this one in my convenient Amazon shopping cart as well! 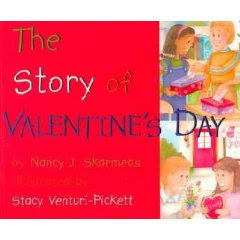 Written by Laurie Lazzaro Knowlton, the book is told in rhyme and tells the story of a young boy who is busy making Valentine's cards for his family. However, there is one small but true heart that he is holding back. This special heart is specifically for Jesus and the book concludes with him giving his heart to Jesus. It's perfect for us! Bookworm1 likes reading it and I like reading it to him so you'll hear no complaints from us! If you are looking for this type of subject matter, this book is pretty decent and I would not withhold a recommendation from it. So that's what we've got for this year. 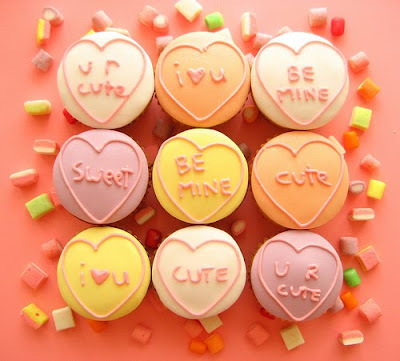 If you know of another Valentine's Story that you think just fits the bill, leave a note below! I'd love to hear about it, really! I had a hard time finding stuff. After our email discussion about Valentine's Day books, I realized I had (probably--I still haven't looked) reviewed at least one before. However, I've got a post in my brain right now that I hope to get out next week, so I'll save the link 'til then. Valentine's is one of those holidays that always sneaks up on me. We just don't do much for it around here. Partly because Ben's birthday is the 22nd. AND there's President's Day. 3 celebrations in one month? Too much for me.